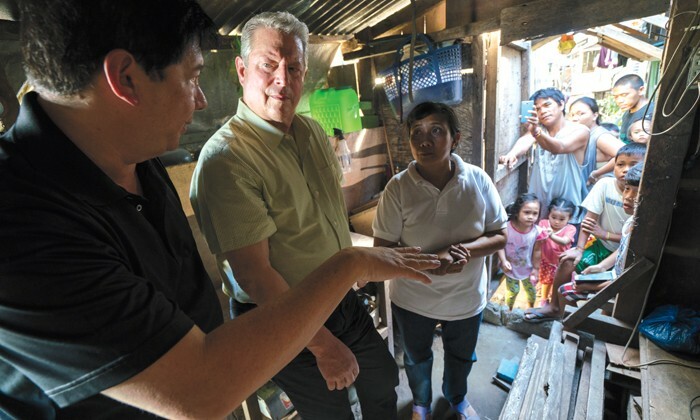 Al Gore visits with former mayor of Tacloban City Alfred Romualdez and Typhoon Haiyan survivor Demi Raya. Eleven years after the original movie, and one year after the hottest year on record, Al Gore returns with a sequel to his landmark documentary about the threat of climate change. Few movies can legitimately claim to have had the real world impact of the 2006 documentary An Inconvenient Truth. Although it was essentially a filmed lecture by politician-turned-environmental-activist Gore, the film went on to win an Academy Award and supercharged the national conversation about climate change. Gore is back with An Inconvenient Sequel: Truth to Power. A lot has happened in that time and the new film offers a needed update. The sequel follows Gore on his peripatetic travels around the globe documenting the dramatic changes happening to our planet, meeting with recalcitrant politicians, training people to give the multimedia presentation he gave in the first film and preparing for the Paris summit on climate change. Percolating ominously in the background is the U.S. presidential election that would ultimately put a climate change denier in the White House. The new film is a much more conventional documentary than the original, which is not always to its benefit. The diversity of Gore’s activities documented over the course of the film results in a work that is far less focused than the original. An Inconvenient Sequel frequently functions as a portrait of the former vice president, particularly in scenes of him on the family farm in Tennessee where he reflects on the personal journey that brought him to this point. Those who find Gore self-aggrandizing, or simply lacking in charisma, won’t have their minds changed by this movie. However, others may be won over by the Sisyphus-like persistence with which he pursues his mission despite ridicule and the enormity of the task. Whatever feelings viewers have about Gore, his travels reveal powerful new evidence of how the planet is changing. There are beautiful but unsettling images of the torrential flows of water rapidly carving up our glaciers with speeds far exceeding those that scientists thought possible even a few years ago. There is dramatic footage of the now-frequently flooded streets of Miami Beach, the city that has become the poster child for climate change. Fascinating scenes of the backroom haggling at the Paris summit vividly reveal both the complexities of the issues involved in fighting climate change, and the potential for change when diverse countries work together. An Inconvenient Sequel is a surprisingly upbeat work, reflecting Gore’s belief that the change in people’s awareness, and willingness to take individual action, will ultimately prove victorious over the resistance of governments, even that of the United States. The new movie arrives in a society that is politically polarized to an extent that would have seemed unimaginable when the first film premiered. It is arguable that it will simply be preaching to the choir, and that only those who already believe will see it. 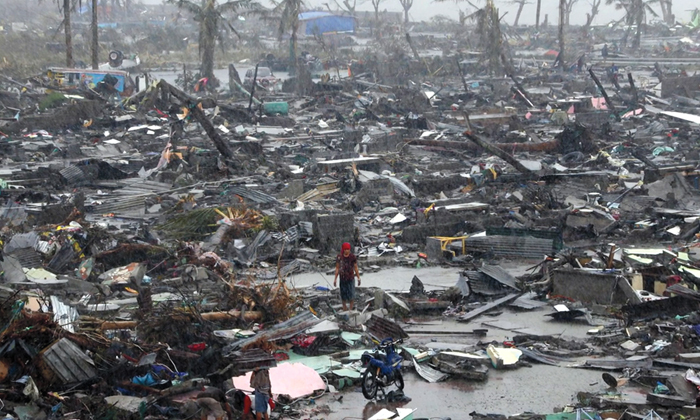 Climate change is arguably the most important challenge facing our society. Hopefully, even skeptics will open their minds to this essential film. The issues raised are compelling and vital, especially for people who live on a little island sticking out into the ocean.